Join us as we focus on programs and solutions to help move English Learners from the sidelines to the forefront. Our institute will inspire educators at all levels of experience and provide practical strategies that can be implemented immediately in classrooms. This will ensure that English Learners are not only able to feel a greater sense of belonging, but also receive the tools they need to excel in core academic classes. 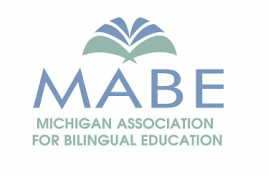 Connect with more than five hundred teachers, administrators and support staff in a language rich and impactful conference aimed at serving Michigan's English Learners. Mark your calendar now for a 2-day program dedicated to the exploration of bilingual education and solutions geared to fit every classroom. Questions or concerns should be directed to the Institute Director, Jenna Webb, at MABEInstitute@gmail.com, or by phone at (734) 770-8219. Once again, the Dearborn Inn will be offering a discounted rate of $139/night for participants who reserve their hotel rooms on or before April 17, 2019. Click on the button below to reserve your room with the discounted rate. The Courtyard Marriott of Dearborn will also be offering a discounted rate of $139/night for participants who reserve on or before April 17, 2019. Accommodations include a King bed with a pullout sofa. Click on the button below to reserve your room with the discounted rate. We are currently accepting and reviewing presenter proposals for this year's conference. If you would like to be considered, please make sure you've submitted your application by Monday, February 1, 2019. Click on the button below to complete the presenter application today. This pre-conference will equip teachers to support students in their classrooms as they move towards acquiring greater literacy. Come hear practical methods that can be used in English Language Arts,content-area, and ESL classrooms to accelerate English language literacy. These strategies are based on both current research and Carol Salva’s classroom experience teaching SLIFE (Students with Limited or Interrupted Formal Education) and newcomers. All teachers ask questions every day. Literally hundreds of them. How, when, and what questions are posed in your classroom is critical. This is not another sit and get about DOK and levels of questions. Your day will be packed with relevant, useful, and proven strategies that anyone can implement immediately. Everything you learn can be used in your classroom tomorrow. You have questions about questioning? 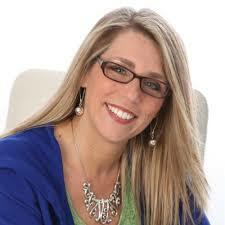 Connie Hamilton will help you find your answers.